To watch match highlights from this game and all this weekend's Premier League clashes, go to the Football Score Centre app NOW! Zlatan Ibrahimovic netted a 25-yard stunner on his Premier League debut as Manchester United won 3-1 at Bournemouth on Sunday at the Vitality Stadium. It was virtually the perfect start for Jose Mourinho on his return to the English top flight, as his side secured the Portuguese his first Premier League success as United boss. Juan Mata set United on their way after 40 minutes, Wayne Rooney headed a second just before the hour mark and Ibrahimovic got himself up and running five minutes later. Adam Smith then pulled one back in emphatic fashion with just over 20 minutes to go, but it was too little too late for Bournemouth. Mata may have suffered the indignity of being substituted as a substitute during United's Community Shield win over Leicester last week, but he was surprisingly named in the starting line-up as Mourinho made two changes from the win over Leicester, with Jesse Lingard and Michael Carrick dropping out. Ander Herrera also came in. And Mata was right at the heart of United's first chance of the match after 27 minutes, as he teed up Rooney on the edge of the area, only for the captain to fire his effort straight at Bournemouth goalkeeper Artur Boruc. The home side looked comfortable in defence for most of the first half as United struggled to create any clear-cut chances, but a nightmare moment from captain Simon Francis gifted Mata the opener. First, Francis sold Boruc woefully short with an attempted back-pass to allow Mata in, before the Bournemouth defender then inadvertently pushed the ball back towards his own goal after Boruc had saved well at Mata's feet, allowing the Spaniard to stroke the ball into an empty net from close range. Boosted by their opener, United and Ibrahimovic livened up after the break, and the Swede nearly set Rooney on his way to United's second with an exquisite back-heel after 51 minutes, but Boruc was off his line well to deny the striker. Moments later Rooney wanted a penalty after linking up with Ibrahimovic again, but referee Andre Marriner waved any protests away after he had gone down in the box under a very soft challenge from Andrew Surman. On the stroke of the hour mark, though, Rooney was on hand to double United's lead. Anthony Martial's scuffed shot found him unmarked in the area, and the captain did just about enough to place his header past Boruc. And after 64 minutes it was Ibrahimovic's chance to announce himself in the Premier League, picking up the ball 25 yards from goal before drilling a superb low effort into the bottom corner to make it 3-0. 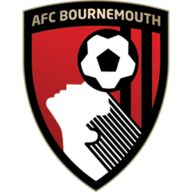 Bournemouth boss Eddie Howe responded with a quick double change, and one of those substitutions Lewis Grabban had an immediate impact as he teed up Smith after 69 minutes, who did superbly to cut inside and hammer one past David de Gea. 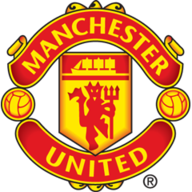 There would be no late rally from the Cherries, though, as Manchester United cruised through to a victory that left them top of the Premier League table.